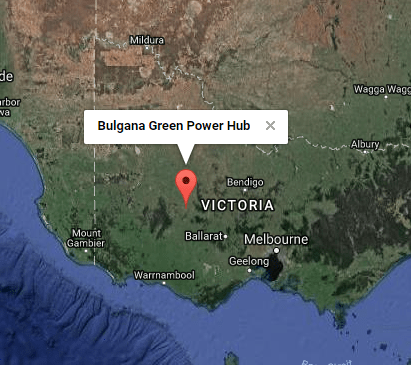 French renewable energy company Neoen has purchased the Bulgana Green Power Hub, a huge wind+battery storage facility in western Victoria. It will be receiving a Tesla battery similar to the one in South Australia, but just on a smaller scale (20MW vs 100MW). According to the AFR, the 204MW wind farm and 20MW accompanying Tesla battery will entirely power the Nectar Farms crop at Stawell, in Western Victoria. The majority of energy it generates will be fed into the local grid. The Nectar Farms crop is a new 30HA high tech glasshouse facility which will supply tomatoes and other produce for import and export, contributing more than 600 jobs to the Stawell region. The South Australian battery was tested late last month and performed admirably, delivering 100MW of power to the grid in 140 milliseconds as the Loy Yang Power station tripped and went offline. Lily D’Ambrosio, Victoria’s energy minister, called the agreement “a major step forward for communities, businesses and the renewable energy industry”. “This project will reduce greenhouse gas emissions while helping meet Victoria’s renewable energy generation targets,” Ms D’Ambrosio said, according to the Sydney Morning Herald. The Bulgana Tesla solar battery is not expected to come online until mid-2019 but we expect to see similar agreements put in place over the coming year. Read more about the Bulgana project by clicking here to visit their website. ← WePower ICO – Fintech solution for green energy.